Homepage » HowTo Guides » How to Download Torrents with IDM (Internet Download Manager)? Everyone of us download something or the other from the Internet and when we want to download movies or some latest TV series, we all go to the best torrent sites and look for the best torrents to download the files. There are many torrent sites that provides you with almost all the movies, TV shows, games, music and a lot more to download in different sizes. Though torrents are the best way to download any file of big size, you need to have the best torrent clients installed on your computer. But even with the best torrent client on your PC, you don’t get high download speed. The speed that we get with torrents is no where compared to what you get with IDM (Internet Download Manager). The download speed of the torrents depend on the number of seeds available. The more the number of seeds, the higher will be your download speed. So if you want to download the torrent files at high speed, that is to download torrents with IDM (Internet Download Manager), you need to know about these places which allows you to do just that. So let’s see the best ways to download torrents with IDM at highest speeds. How to Download Torrents With IDM? Boxopus is a great site that lets you download the big torrent files on your computer at high download speeds. You can download torrent files with Boxopus at the download speed that you always get with Internet Download manager. 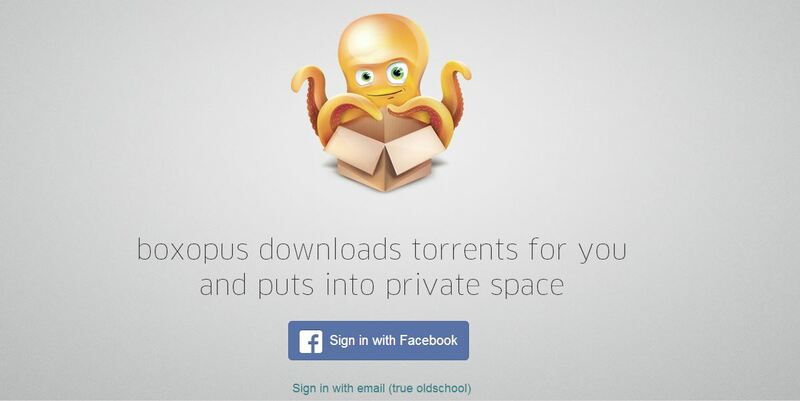 With Boxopus, you can download torrent with IDM up to the size of 2.5 GB. First of all you need to download a torrent file on your computer. Next login to the Boxopus and add your torrent. The torrent will be added in queue and will be downloaded to their servers for you. Once the download is ready, you will be notified by email so that you can download your file. The best part is that is completely free up to the 2.5 GB limit. If you want to download files with big size, then you must get a premium account with them. 2.5 GB file size limit. The cached files are deleted within 24 hours, so be sure to check back within some hours and download your file. ZbigZ is another great site that works just like Boxopus to download torrents with IDM. Though it is a great way to download files at high speed, it doesn’t actually work as great as Boxopus, in my opinion. You don’t need to create an account with ZbigZ to use it. It’s an online bittorrent client that converts the torrent files into zip file that you can download with Internet Download Manager. The bad part is that I got download speed of around 150 kb/sec with ZbigZ whereas with Boxopus, the download speed was up to 650 kb/sec. You can download any torrent with it. No speed limit or bandwidth limit for premium users. If you are not a premium user, then maximum file size allowed is 1 GB only. Downloads anonymously. No need to create an account. Read: How to Download Torrents With ZbigZ Using IDM? There are many other sites as well that lets you download torrents with IDM, but most of them as premium ones, which means you will have to pay them for the files that you download. Here are 2 other sites that lets you download torrent files using IDM. Both these sites are premium and if you are willing to pay some money to them, you should surely go ahead as you will get highest download speed possible and no size limit. How Will You Download Torrents With IDM? So now that I have shared with you the best ways to download torrent files with Internet Download Manager, I would like to know which method you are going to choose. I would suggest you to go with Boxopus as I haven’t seen any other free service offering such high download speed. But if you can, then you should surely go with the premium sites to enjoy the highest download speed with absolutely no file size limit. I hope that you loved the article and if you did, please show your love by sharing the post with your friends so that they too know the way to download torrents with IDM a.k.a Internet Download Manager.